In case you've missed the news, we are just TWO WEEKS away from the grand opening of our 2nd store location in Newton Lower Falls! We are so excited about this expansion, and hope you will consider joining us for the Grand Opening Party on March 28th. You can find details and RSVP here. For now, here are a few words from Alex about this week's table setting. This week I put together a table for two using Chilewich's new Spring colors as a starting off point. 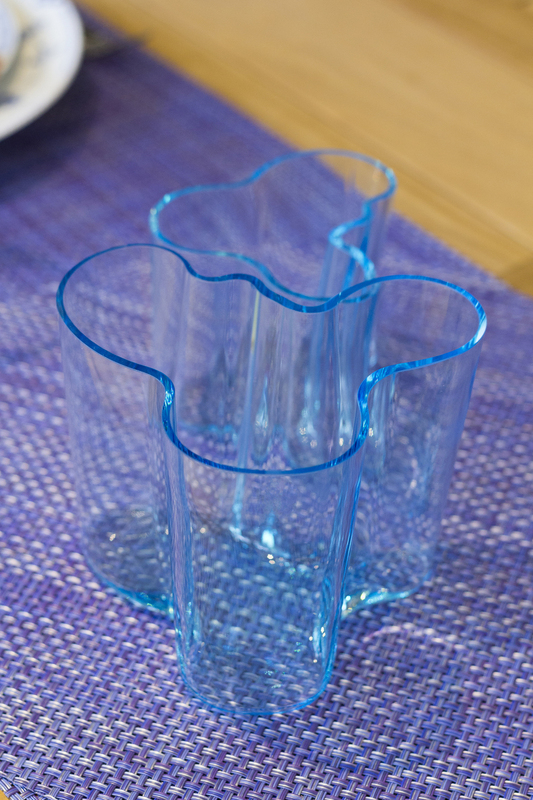 Looking to convey a fresh and colorful palette suitable for indoor or outdoor dining, the textural mix of Royal Copenhagen's Blue Elements collection added interest to the Chilewich runner and Libeco Polylin napkin in Clementine. I love how the whites of the dinnerware add a brightness that catches the eye and pulls you in. Photo 1: Individual place setting. 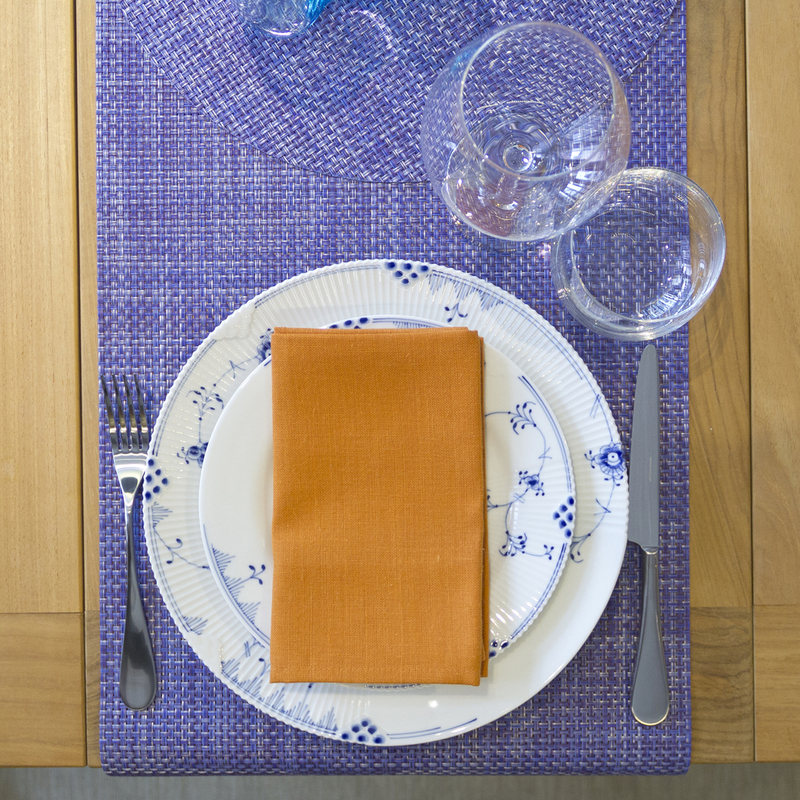 Table is dressed with a Chilewich Basketweave Runner in Purple, with a Chilewich Basketweave Round Placemat in Purple layered on top. 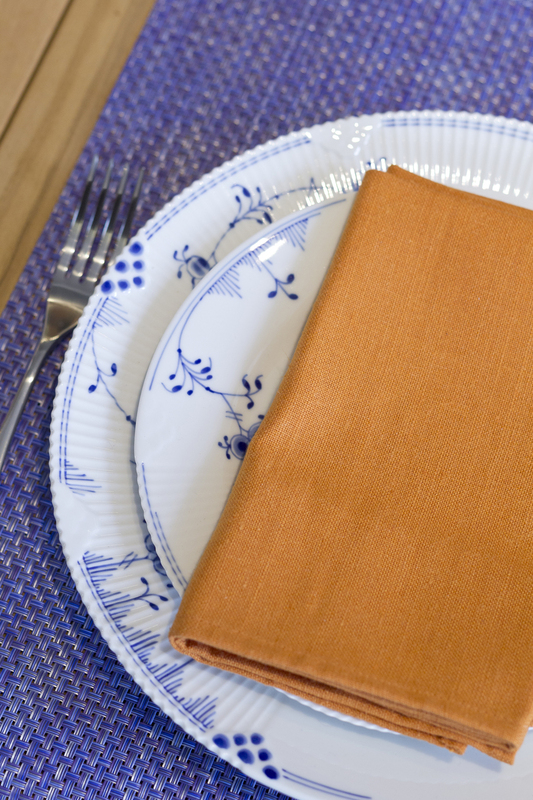 Photo 2: A close-up of the place setting, featuring a Royal Copenhagen Blue Elements Dinner Plate and Salad Plate, with a Libeco Home Polylin Napkin in Clementine. Flatware comes from the David Mellor English collection. Photo 3: Glassware: Schott Zwiesel Banquet Double Old Fashioned Glass and a Schott Zwiesel Forte Burgundy Glass.